Black pepper is ground from dried, whole unripe fruit. 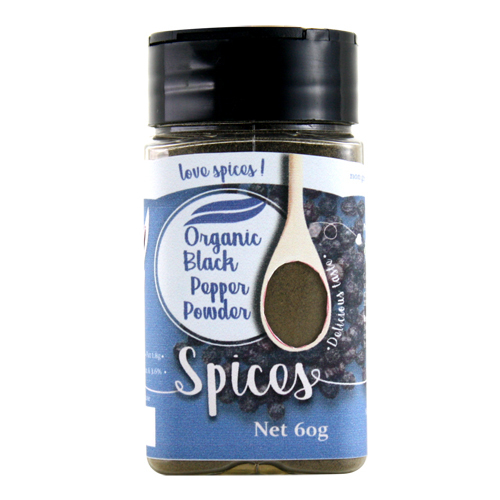 Black pepper is the most pungent and flavorful of all types of peppers and is used as both a spice and a medicine. Has antibacterial and anti-inflammatory properties. Good for stomach - Increases the hydrochloric acid secretion in the stomach, thereby facilitating digestion. Rich source of manganese, iron, potassium, vitamin C, vitamin K, and dietary fiber.